​We are all familiar with the phrase “moral compass”, the idea that we have a natural feeling about what is right and wrong for us. Sometimes though we need help uncovering what is important to us and the direction we want our lives to go in. It’s not unusual to hear someone talk about losing their direction in life, feeling that they are not going anywhere or are in a job they don’t enjoy. Working with a very simple easy-to-relate to model this workshop enables you to explore your own needs and motivations and connect them to the wider purpose of your work or business. The research- based model empowers you to take control of how you relate to and contribute to work and other areas of your life. Our relationship with work is more complex and sophisticated than it used to be. Whilst income is important job satisfaction, well-being, work-life balance, development opportunities and working for an employer than demonstrates social responsibility and where we feel proud to be part of the organisation are also key. This full day workshop will take you step by step through the process of building and understanding your own map and using it to explore the key issues that are important to you. You will leave the workshop with a clear understanding of what motivates and drives you, an appreciation of all of the important aspects of your life and career and a map that you can use to navigate a path to future success. ​Jane Pightling of Evolutionary Connections and Sarah Ward of Leading Wisdom combine their many years of experience in business, working with leaders and their teams to lead this workshop. They are experienced, qualified trainers and executive coaches and have run a range of successful public and in-house programmes. Sarah’s work is underpinned by a belief that performance and wellbeing are intrinsically linked and that high levels of performance at a cost to personal wellbeing is not sustainable. With over 25 years’ senior management responsibility for organisational and people development in both the private and public sector Sarah’s approach is grounded and enriched by humour, and she is recognised for her ability to form trusting relationships and connect with people at all levels. Sarah’s recent interest has focused on the findings of neuroscience and benefits that mindfulness can brings to both an individual and an organisation. 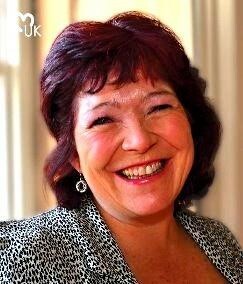 Jane is an experienced leader, manager and mental health practitioner. Her experience spans the health and social care sector, working with local regional and national bodies such as the NHS leadership Academy, AHSNs and NHSIQ. She has significant experience of working with senior leaders managing complex change and developing leadership and leaders in systems change techniques. Jane believes everyone deserves to live a life worth living and to live it well. Making sense out of our lives and experiences is a key human need so making sure we are doing a job worth doing and being able to do it well is essential for our success happiness and wellbeing.